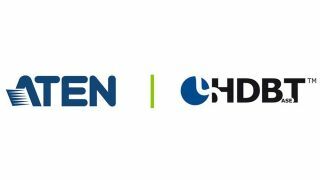 ATEN has become a contributor member of the HDBaseT Alliance. The upgraded status will allow ATEN to contribute its nearly four decades of IT management and control experience, thereby helping the alliance to accelerate the integration of AV and IT technologies already occurring in the industry. It will also allow ATEN to enhance its next generation of professional AV products by offering access to the latest HDBaseT technologies. A longtime member of the alliance, ATEN has more than 30 qualified HDBaseT trainers and more than 20 pro AV solutions powered by HDBaseT technology including video matrixes as well as high-definition video/KVM extenders and splitters. In addition to new privileges such as a dedicated company page in the HDBT Alliance’s Installer Zone, ATEN will also be invited to contribute its more than 38 years of KVM and IT experience to define specifications for products that integrate AV and IT technologies, in turn helping both customers and solution partners to stay ahead of the curve. HDBaseT technology is well suited for professional AV installations and provides a simple and cost-effective solution to transmit 4K UHD signals up to 100 meters. It combines uncompressed UHD video/audio, 100Mb Ethernet connectivity, USB2.0, and 100W of power over cable and control signals, enabling a single LAN cable to replace multiple cables and connectors in home entertainment and business environments. The HDBaseT Alliance—which is made up of more than 170 members from all over the world—works to promote, advance, and standardize the technology. ATEN provides a full range of high quality HDBaseT solutions, such as modular matrix switches that can be inserted with a 4-Port HDBaseT I/O board that provides the ability to route up to 32 input and 32 output HDBaseT connections, along with high-definition video/KVM extenders and splitters. Besides HDBaseT 2.0, ATEN plans to integrate the latest 4K/60Hz 4:4:4 over Display Stream Compression (DSC) lossless compression technology into more of its pro AV solutions in the near future.